One Call Communications is proud to bring to you the latest IP/VoIP phone systems. 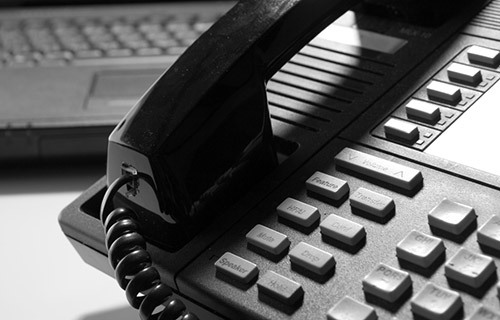 Ditch your PSTN lines and switch over to IP Telephony with our help. IP/VoIP telephony provides numerous cost and feature advantages. It helps you simplify business communications and unites your employees with one solution – whether they are in the office or in the field. Stay connected to customers, vendors and business partners with clear connection and advanced calling features of our business phone services. Multi-way calling: Add any number of parties to a call in progress. Unlimited Intercom: Talk to your colleagues to your heart’s content without incurring any charges. Automatic Call back: The system will automatically connect you to your customer the minute your line if free. Call Transfer: Transfer a call to anyone with a click of your mouse. Call Forwarding: Get important calls forwarded to you wherever you are and never miss a call. Conferencing: Initiate and manage video or audio conferencing with any number of people. Presence: Find out which of your colleagues are available to get into a call or transfer call to. Voice Mail: With speech-to-text conversion, get all your voice mails on your email. Pure IP: This comes as an IP PBX server that can handle 1000s of connections and expand without any limit through networking. Using single server simplicity, our IP PBX systems are easy to use, and give you contact center efficiency. Converged VoIP: Our converged VoIP solutions allow you to mix IP, digital and analog endpoints connected to IP telephony with unified communication applications. Cloud Based or Hosted VoIP: Get enterprise communication with zero capital expenditure. Connect to your existing end points and get all the features of a full IP PBX at rates as low as $1 per person day. Full consulting for designing, engineering, and commissioning of your communication systems. On-going support, maintenance and repair. Whether you are new to IP phones systems, or are looking to expand your communication systems, we are the people who can help you best. Call us today, improve your communication and save money every day.